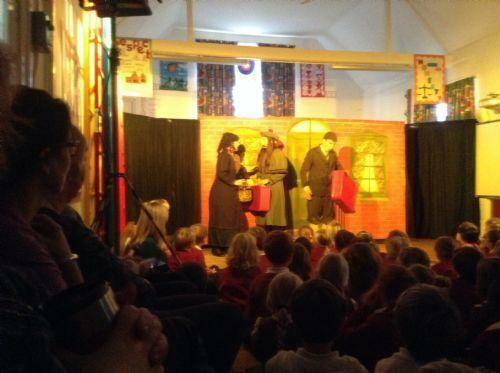 The pupils enjoyed a captivating performance of E Nesbit's, 'The Railway Children' today. A tiny cast took on many roles during the performance and were also responsible for a series of lightning quick set changes. It was a fabulous trip down memory lane for many of the staff who remembered the classic 1970's film and the for the children it was a wonderful insight into life in the early twentieth century.